Stimulate, in a continuous way, the use of public and private structures, not only for regular courses, and also for the training and retraining of workers, in order to introduce them in the labour market, and provide them with competitiveness and productivity conditions, thus fostering a raise in their educational, technical and income levels. Changes in Brazilian education system and its new features are contained in the National Education Guidelines and Framework Law (Lei de Diretrizes e Bases da Educação) approved in 1996. The Law assigns 3 main objectives to secondary education, one of which is preparing youth for employment, with the goal of producing flexible learners, capable of adapting to changes in the labour market in an increasingly global economy. It also organizes secondary education in two levels: basic and higher secondary education. It integrates vocational education within these levels and allows the provision of skills training in secondary schools or in partnership with technical colleges. Technological training at post-secondary level that covers all economic sectors. UNESCO-IBE (2011). World Data on Education VII Ed. 2010/11. Brazil. Geneva: UNESCO-IBE. INEP (2001). The National Education Plan- Brazil. Brasilia: INEP. Scheme compiled by UNESCO-UNEVOC from OECD (2010). Brazil: Encouraging Lessons from a Large Federal System. Paris: OECD. Vocational and technical education is offered in parallel and in conjunction with general secondary/high school education. The Ministry of Education supports a network of vocational education schools that offer programmes aimed at fulfilling the need for vocational training in the areas of services, industry and agriculture. Tertiary sector technicians with a minimum workload of 2200 hours of which at least 900 should be vocational courses. It is normal for vocational schools to establish partnerships with businesses and enterprises and as a result create internship opportunities for students. Schools offer refresher courses and further education for employees. Young people of 14-24 years of age who have concluded or are undertaking secondary/high school education can apply for apprenticeship scheme where they have a chance to get professional experience together with receiving a professional qualification offered by an educational institution that has established an agreement with the company. Apprentices are allowed to work not more than 6 hours per day. This is due to the fact that those who have not completed secondary/high school education should have the opportunity to attend classes. Apprentices with completed secondary education are allowed to work 8 hours as long as they dedicate certain hours to theoretical courses. The latter are offered by schools of the System S, technical schools or officially registered NGO’s. The maximum duration of the apprenticeship is 2 years as long as the apprentice is not older than 24. 8 schools linked to universities; and a Federal University of Technology – Paraná (UTFPR). Federal Institutions for Education, Science and Technology train professionals in the several sectors of Brazilian economy; foster research; and develop new products and services in cooperation with the production sector by providing secondary and higher technical courses, undergraduate degrees, master and doctoral programmes. Doing an internship is another opportunity for students of technical courses or for those pursuing higher education to get professional experience. According to the Law 11.788/2008 internship is defined as the act of education taking place in the working environment with the scope of introducing students to the world of work. Internships are offered by public and private companies, public organisations, non-profit organisations, or individual entrepreneurs. An intern has to be supervised by an appointed professional. 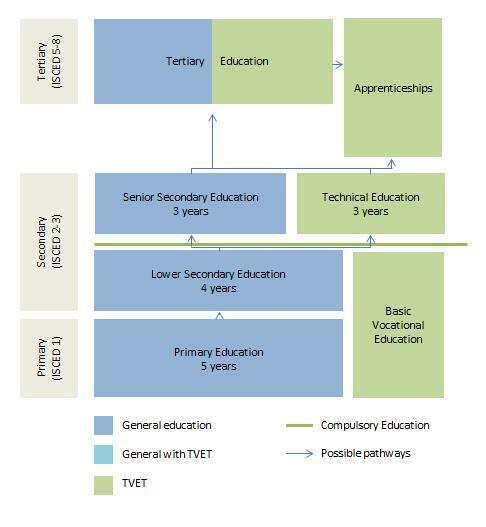 Some TVET courses have internship as a compulsory part of their curriculum. An intern is not considered to be an employee of the organisation, but can be entitled to some form of compensation (travelling expenses) or a monthly allowance. Nuffic (2011). Country Module- Brazil. The Hague: Netherlands Organisation for International Cooperation in Higher Education. OECD (2010). Brazil: Encouraging Lessons from a Large Federal System. Paris: Organisation for Economic Co-operation and Development. Accessed: 01 October 2013. Webpage of Portal Brasil of the Government of Brazil. Accessed: 01 October 2013. Webpage of the network of institutions of the Government of Brazil. Accessed: 01 October 2013. Brazil consists of 26 states, over 5500 municipalities and a Federal District in which the capital city, Brasilia, is located. The public TVET is administered and managed by the Federal Government and the States. The private sector can be involved at any educational level given the approval and evaluation of the government. Overall the Ministry of Education in cooperation with the National Council for Education is in charge of establishing National Education Plans; providing technical and financial assistance to the states, federal district and municipalities* for development of their respective school systems. The Ministry also supports a network of federal schools, comprising universities, institutions of higher education, technical and agro-technical schools and technological education centres. There are a number of departments (secretariats) under the authority of the Ministry of Education, one of which is the Department of Technical and Vocational Education. These Department of Education in each state has the responsibility of administering the network of schools belonging to those states and supervising the network of private education providers. The Ministry of Education works together with the Ministry of Labour in order to define vocational training policy, which is executed by technical and agro-technical schools; Federal Centres for Technological Education (CEFET); and System S, a group of institutions financed by means of levies paid by participating companies each belonging to different category and therefore contributing to a respective institution. 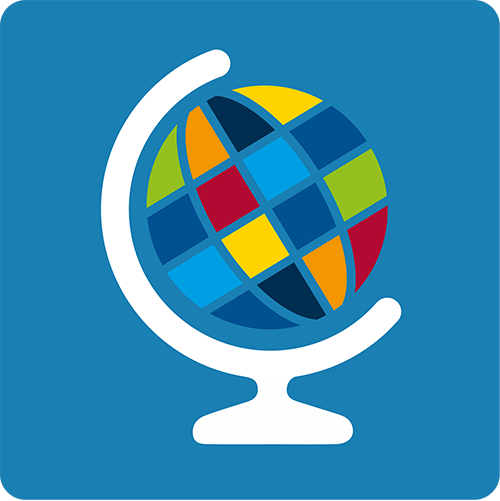 SESCOOP- National Service for cooperative learning (Serviço Nacional de Aprendizagem do Cooperativismo). In addition, some governmental and non-governmental organisations are also involved in the education system of Brazil, either through special agreements or joint activities for specific goals. The National Council of the institutions of the Federal Network of Professional Education, Science and Technology (O Conselho Nacional das Instituições da Rede Federal de Educação Profissional, Científica e Tecnológica) (CONIF) gathers all Federal Institutions of Professional Education, Science and Technology of Brazil. CONIF is a forum for discussion, proposing and promoting TVET policies. It develops activities to promote interdisciplinary and inter-institutional studies and projects on TVET, and encourages exchange of information and experiences among federal institutions. The education sector is financed from the funds of the public sector (direct and indirect financing) and private sector, where fees are charged for educational services provided. Webpage of the National Council of the institutions of the Federal Network of Professional Education, Science and Technology. Accessed: 01 October 2013. Webpage of the Teachers’ Union. Accessed: 01 October 2013. The Degree in pedagogy, a 4-year university programme. Until recently in many areas of the country, teachers only had high school education. The 1996 Law of Directives and Bases of National Education mandated that all teachers should have a university qualification. The Law required each state and municipality to establish career paths for teachers. It raised the educational requirements to become a teacher, and made both pre-and in-service teacher training free. The quality of teachers remains a major issue and a priority for the Ministry of Education (MEC). MEC works to create standards for a career path based on credentials and a new examination that covers both content and pedagogy. Individual states are using different strategies to address teacher quality. Some are working with federal universities and NGOs to develop effective training for in-service teachers. In addition, MEC organizes teacher training programmes to fill the gap in qualified school teachers in certain disciplines and locations. These programmes include theory and practice with focus on teaching methodology. The length of a programme should be at least 540 hours. Ministry of State for Education and Sport (1997). The National Council of Education, in view of the provisions of Articles 13 and 19 of the Rules and Opinion No 4/97. Brasilia: The Government of Brazil. Accessed: 01 October 2013. World Bank (2001). Brazil Teachers Development and Incentives; A Strategic Framework. Washington, D.C.: World Bank. After completing secondary vocational education graduates are awarded the certificate/professional qualification of Middle-level technician (Técnico de nível médio) or a Diploma with specialisation i (Diploma de Ensino Médio com Habilitação .). These qualifications grant access to the entrance examination for higher education and to post-secondary vocational courses called higher courses of technology (cursos superiores de tecnologia). At the end of these courses students are awarded a certificate with professional qualification of a Technologist (Tecnólogo). This certificate also allows students to proceed to a 1-year professional graduate programme (Mestrado Profissional). Brazil has not established a national qualifications framework. The National Institute for Educational Studies Anisio Teixeira (Inep) is a federal agency under the Ministry of Education (MEC), whose mission is to promote studies, research and reviews of the Brazilian educational system in order to support the formulation and implementation of public policies for education from the parameters of quality and equity, as well as produce clear and reliable information to managers, researchers, educators and the general public. Inep realizes examinations that besides diagnosing the Brazilian basic education possible means to ensure as much knowledge acquired in school settings as extracurricular. The National Examination for the Certification of Skills for Youth and Adults (ENCCEJA) is one of those exams. ENCCEJA The main objective is to build a national benchmark of education for young people and adults through the assessment of competencies, skills and knowledge acquired in the school process or in the formative processes that develop in family life, human relationships, at work, in the movements social and civil society organisations and cultural manifestations, among others. Participation in ENCCEJA is voluntary and free of charge, to young people and adults living in Brazil and abroad, including persons deprived of liberty, who were unable to complete their studies at the appropriate age. Webpage of National Institute of Educational Studies Teixeira (INEP). Accessed: 01 October 2013. The provision of professional education for young people of low income is directly connected to their insertion in the labour market that is becoming increasingly competitive. The project ProJovem supported by the government of Brazil seeks to provide young people with the necessary education. ProJoven Worker is a programme preparing young people for the world of work and for alternative occupations. Participants should be between 18 and 29 years of age, come from families earning the minimum wage and should be pursuing or completing basic or secondary education. The courses have a duration of 350 hours and lead to a professional qualification.